Inhaling essential oils is one of the fastest ways to get their benefits. We have a diffuser running in the house a couple times a week and more often if someone is sick, stressed, or we have company coming over. However, using a diffuser isn’t always practical so that’s when inhalers come to the rescue. You can make your own using the recipes below or you can purchase pre-made ones. They fit in your pocket or purse to be used anytime you need them. 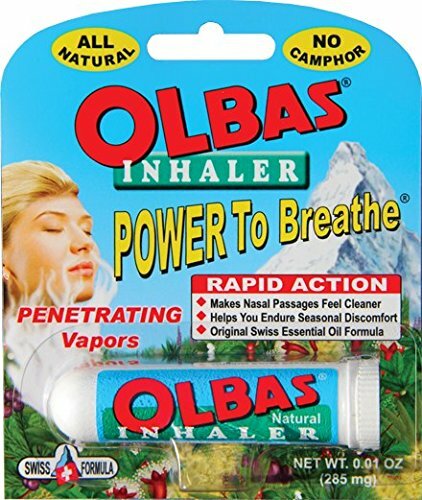 My daughter likes this Olba Inhaler because she can’t get a DIY blend to be as effective when she is congested from a cold or allergies. You have to experiment to see what works best for you. Check out how to make your own using the easy recipes below. Inhalers are really easy to make. 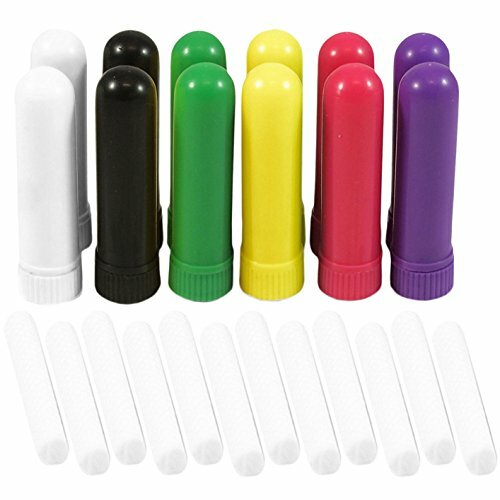 Just purchase these blank inhaler tubes on Amazon (or the ones in the photo) and add the essential oils to the cotton piece in the nasal tube. You will add 2-10 drops of oil to the tube depending on the strength you want. You can add just about any oil to your inhaler. There are some “ready-made” blends you can try or combine oils to make your oil special blend. I’ve collected an assortment of essential oil blends and listed them here. I’ve tried some of them and others are on my “to try list”. Isagenix, Plant Therapy, and Simply Earth are brands I use and trust. They often have sales on their website so be sure to check before ordering. The blends I posted here are some of the many Inhaler Blend Recipes you can try. There are countless combinations of oils that will work for different health issues. Be patient and experiment until you find what works for you. You might also like my post Over 100 Smart and Practical Ways To Use Essential Oils to discover more ways to use your oils. You Tell Me. Please post your comments or recipes that you’ve used below.